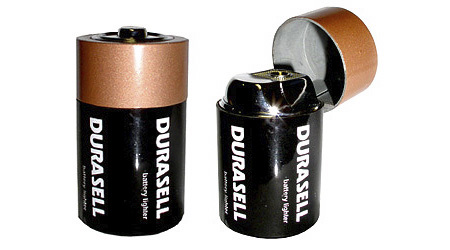 “Durasell” lighter is designed to look like a C-type battery. Cool that fire extinguisher! I simply love it! 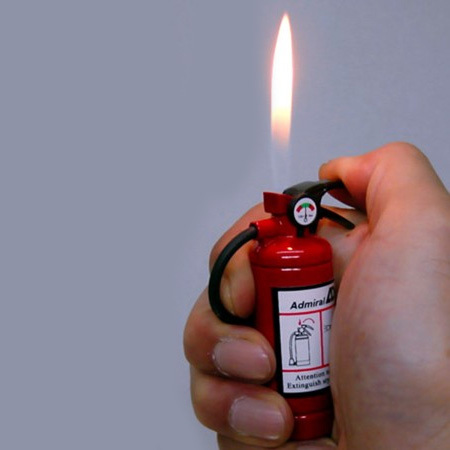 I have the cigarette lighter myself! 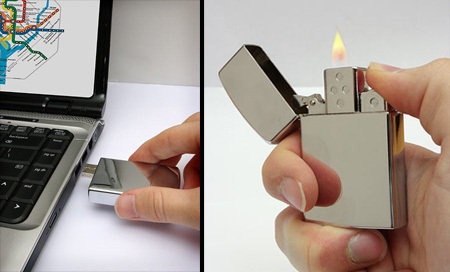 but I like the USB better, great concept! 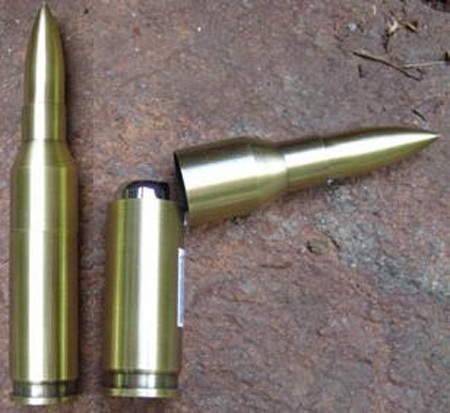 My father designed and made bullet lighters from spent shells and SOLD THEM to fellow sailors when he was in the Navy ’31-’37! He also had a matching ashtray from spent shells of various sizes to match! A man ahead of his time, I guess. He also made lamp bases from huge shells and chrome plated and engraved them with ornate Navy insignia and other Navy info (eg. USS West Virginia 1935) He then sold them and sent the money home to his family to help support a family ravaged by the Great Depression! That would have been Petty Officer 1st Class Harry L. Stewart, deceased. cool! Love all of them! 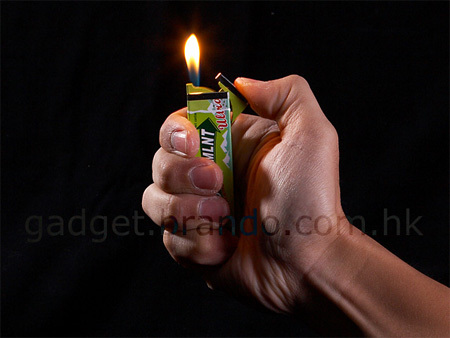 I like the ciggerette on your phone lighter, had the idea a while ago. 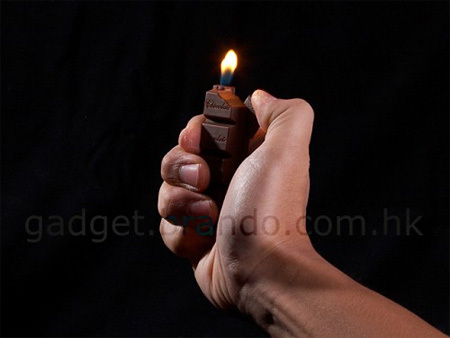 the chocolate lighter is so cool i could eat it!!! 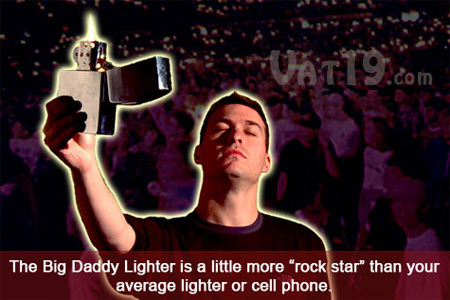 Cigarette lighter is awesome and the Giant is a must have if you want to stand out at your next rock concert…geez! And it’s only $14! I’m definitely getting one. 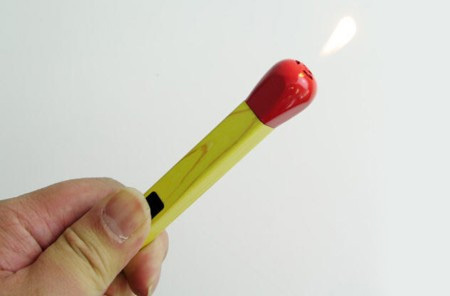 I have a matchstick lighter for my gas stove. My mother got it cheap at a $2 shop. Not as detailed though. 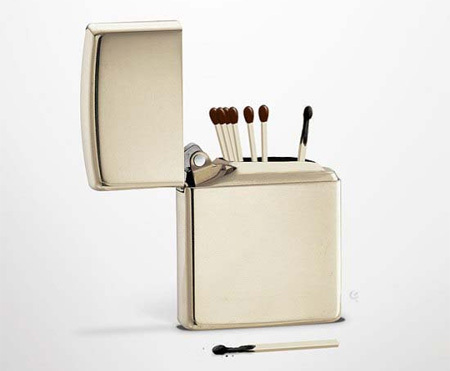 I have that “Cigarette Lighter” d;) it’s really cool! 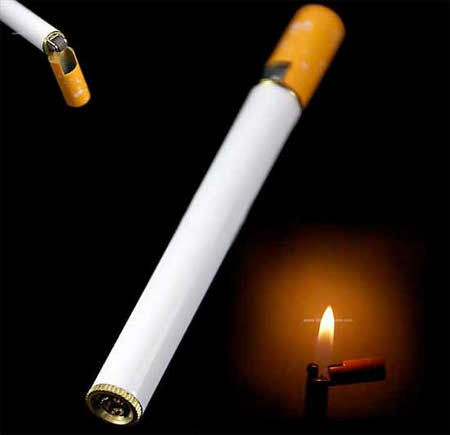 I don’t smoke but I want that machine gun bullet lighter. 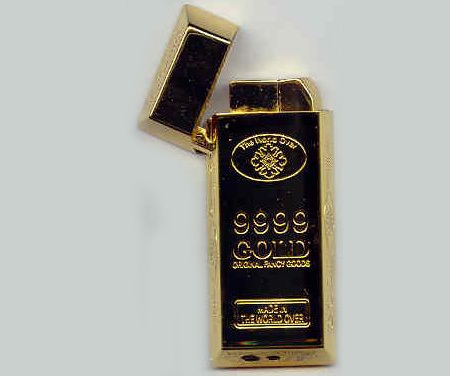 Goldbar and Chocolate lighters were too good . has any one have or seen the first USA recovery carrier light? It was USS Lake Champane CVS 39 lighter. I had one but can’t find it. May 5, 1962. I wonder what it is worth . i just want to say i love the story that Karin L. Stewart told. it was a beautiful story. 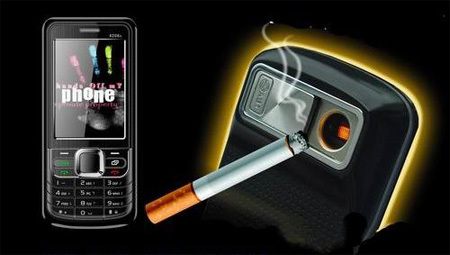 the cell phone one would be perfect for my boyfriend, maybe having a lighter in it would keep him from breaking his phone. 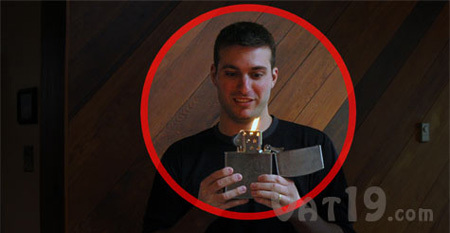 my personal favorites are the bullet and cigarette lighters.